Recycle, Reuse, Renew Made in the USA to help save the planet. Our flowerpots are the BEST on the market today. 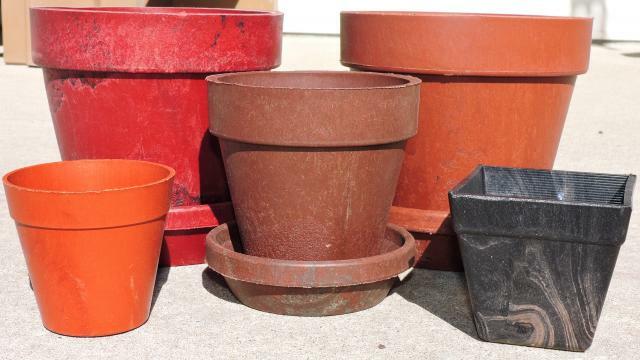 We have flowerpots that have been growing flowers and plants for over 20 years. The 24" flowerpot in the right picture was made over 20 years ago. Our flowerpots can stand the heat and the cold. So if left out over winter they handle the cold unlike terra cotta pots that may crack and break. We need you help getting this flowerpot noticed. 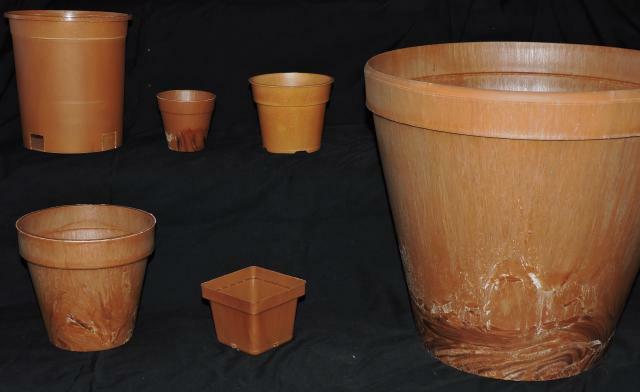 Flowerpots are made from recycled plastics, keeping it out of landfills. Most flowerpots have a saucer included. Ecoflowerpots strive to making it very affordable for anyone.Yes our flowerpots are heavier, but we believe in making a great flowerpots for our customers. Cheaper is not always better. Order your flowerpots from us. If we don't have in stock we will make it. No one makes flowerpots like ours. We will ship anywhere. We can make custom molds to make almost any product you may need. Contact us with your questions. We are looking for Master Gardener shows or Home and Garden Shows to be vendors. Contact us we would love to display our flowerpots. Like us on Facebook at New Horizons Flowerpots. 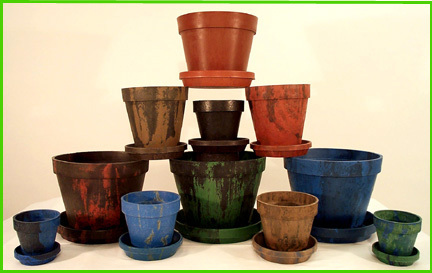 If your buying your flowerpots every year and getting tired of pots made from cheap plastic, you need ecoflowerpots. 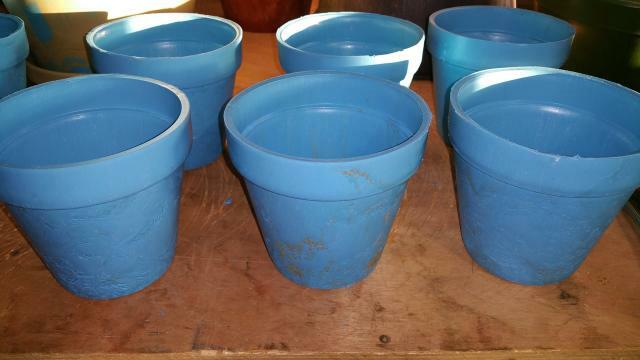 We have flowerpots that have been lasting for over 20 years. 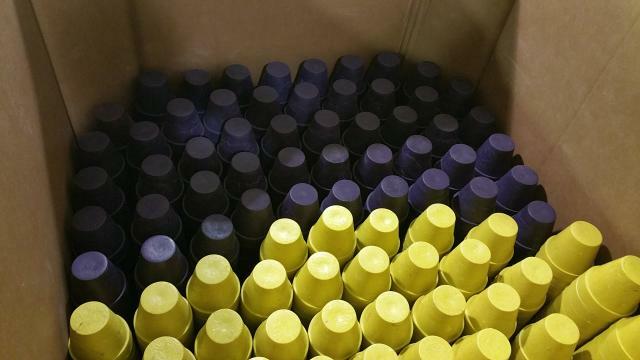 A small business making a BIG IMPACT. Want to see how we make our flowerpots watch the video on the PRODUCTS page. Also we've made a drop test video between our pots and clay pots.You can also find them on Youtube.